Having trouble locating a long-arm quilter who works close by? 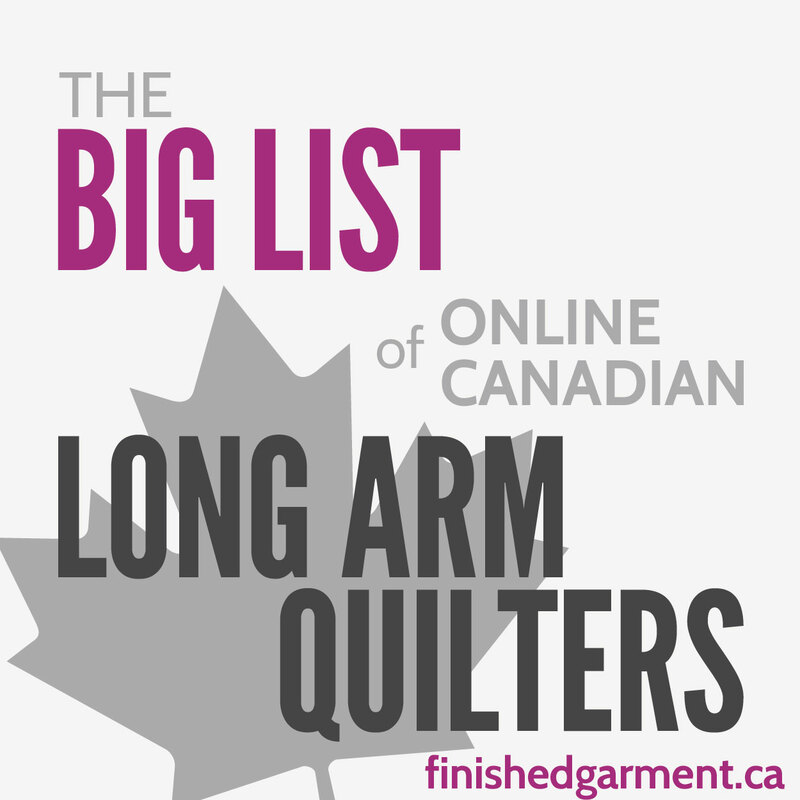 I’ve compiled a list of Canadian long-arm quilting services. I’ll be adding as I go, so check back soon. I haven’t tried them all, so I can’t vouch for them. If you know of any others or have had a good experience with any, please leave a comment or get in touch. Want to be on the list? 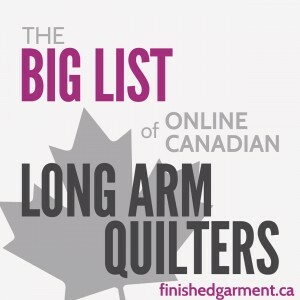 At the moment, I only list people who have a website, are located in Canada, and note that they provide long-arm quilting services on their website. Many longarm quilters also show a portfolio of their work, though this is not required. Is your business missing? If you are located in Canada, have a website, and provide long-arm quilting services which you note on your website get in touch. Thanks!